Extra-curricular programs remain integral to the educational experience at Archway Trivium East. We encourage students to build communities and bonds with their peers outside of the classroom. 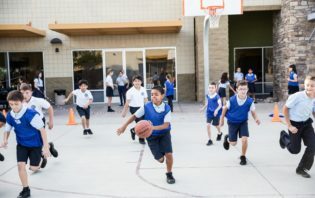 Students also benefit from the development of habits and virtues that manifest through participating in one of the many extra-curricular and athletic programs offered at Archway Trivium East. Extra-curricular programs are an integral part of the educational experience at Archway Trivium East. We encourage students to build communities and bonds with their peers outside of the classroom by participating in clubs and athletics. 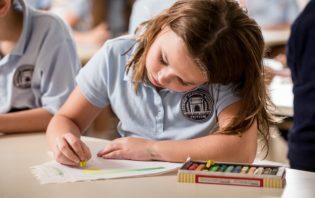 After-School Athenaeum is a tuition-based extension of the school day, featuring dedicated homework time and high-quality enrichment opportunities. The Archway Trivium East PSO partners with My Hot Lunchbox to provide a secure, fast and easy-to-use online ordering system. At Great Hearts schools, the student uniform is an essential part of who we are and what we do. The uniform serves to unify our students as one community of learners, irrespective of our diverse backgrounds.